- Using GEDigitizer 2.2, you can import Contours, Grids or Meshes directly from Google Earth into ArcMap and save them into 3DShape which can be presented in ArcScene. So you can reuse the date in AutoCAD, Adobe Reader, SolidWorks etc. - GEDigitizer 2.2 enables to define feature properties (table fields). So users can enter property values when digitizing geometry. 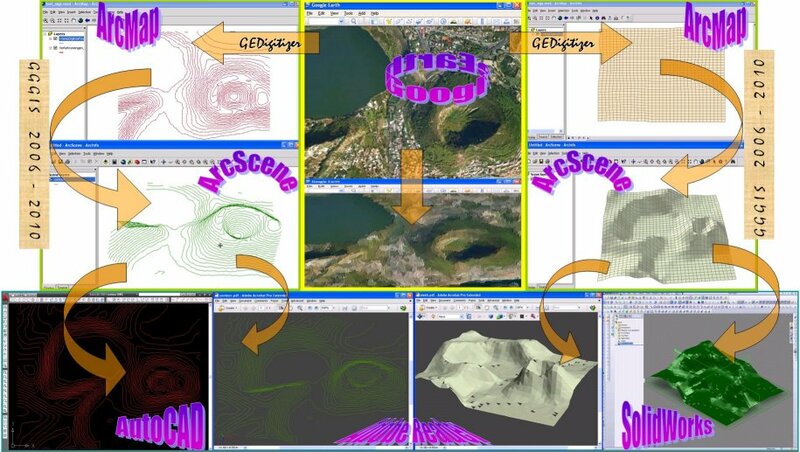 - GEDigitizer 2.2 provides a toolbar for main digitization functions that appears in Google Earth. It facilitates and speed up digitizations. - GEDigitizer 2.2 supports Sketch, so that curves of arbitrary forms can be captured by that way. - A lot of options can be customized by using context menu. Copyright© Googlizing, Gislizing® 2006-2010. All rights reserved.